John Van Olden is a premier dog trainer who offers training in Delaware and the surrounding areas. Our Delaware Dog Trainer John Van Olden works closely with dogs of all ages, breeds, and with varied behavioral issues. John’s mantra is that there is no dog that can’t be trained and by using his time-tested techniques, he proves it again and again. Because he is always concerned about a dog’s health both physically and mentally, John always works in close conjunction with a DVM and Vet Behaviorist. This way, he can be certain that every existing and prospective customer is accurately informed on his dog training methods in relation to the animal and its specific training needs and goals. John works primarily on vet referrals and covers Dover and Delaware Beaches and the surrounding areas. If you have any questions about John’s training programs and what it covers please call us at the office at 800.649.7297. 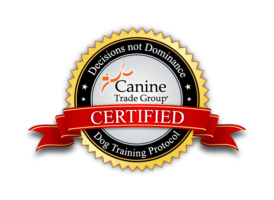 All of the training that John performs in the home is customized and designed specifically to your dog’s particular training needs. John also agrees to work with each owner and dog until they have accomplished ALL of their goals – regardless of the duration of the training. Aggression – related to food, toys, other dogs, children, car noises, cats, etc. For those of you with puppies–fear not! We also offer basic obedience training for pups 16 wks and younger. So whether your dog just needs some manners or has some major behavioral issues, we can help! John has trained so many dogs that training is in his DNA. By sitting down with John, you will quickly see that training dogs is not his job–it’s his passion!